The Goathouse Refuge is currently at its capacity so intake is extremely limited. If you are considering surrendering your cat to us, please fill out an intake application. We do not take in cats brought to us at the refuge for which we have not received an intake application and for which we have not given permission to bring to us. So please understand that if you have not gone through our intake process, we will have to turn you and your cat(s) away. 1) Vet records that show that the cat is completely vetted (combo negative, spayed/neutered, up to date on rabies and distemper). 2) A promise to make a $50 donation per month per cat through our sustainer program for as long as the cat is in our care; that covers about the cost for us of taking care of one cat per month. Cats for which we receive intake applications but that we cannot take in will be networked through our extensive rescue email lists and posted on our facebook page and twitter account. Please provide good pictures of your cat (especially their face) and let us know what contact info you are comfortable sharing on social media. Rehoming a cat takes time; please don’t wait until the last minute before contacting us. We apologize that we cannot take in every cat, but will do our best to rehome your cat through every other possible means available to us. Thank you for understanding. while others use heart-stick practices with no sedation to kill the animals. Please sign a petition to outlaw the use of gas chambers in animal shelters. For anyone who doesn’t understand what happens to animals when they are given up and abandoned in shelters, read Raining Cats and Dogs…and please try to find a way to keep your pet. YOU ARE THEIR WORLD. 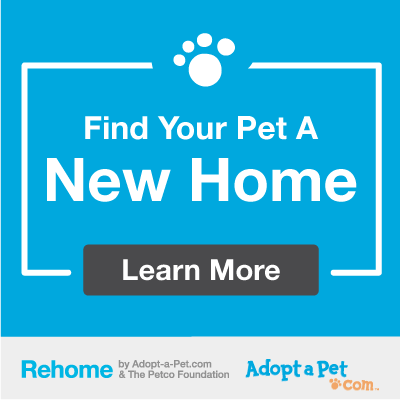 There are many things you can do to find your animal a good home. The two most important things to ensure a safe, responsible home are: (1) ask for and call personal and veterinarian references for any potential adopters, and (2) request a small fee for vet expenses. Both of these will help exclude dishonest people looking for free animals to sell to animal research laboratories or to train fighting dogs to kill. Here are some tips to help you find a safe home for your animal. Make a flyer: Write a short bio. Include basic facts about the animal and its ideal home. Take a good photo that shows the animal’s face. Put flyers up in vet offices and anywhere else you can. Ask vet assistants and vet techs if any of them foster (some of them do). Some vets also do their own rescue work and may assist you in placing this animal. Neighborhood email listservs are a good tool for spreading the word about rehoming a pet. Post your animal on pet rehoming websites, such as Triangle Pet Rescue and rescueme.org. Include lots of searchable keywords. See more rehoming ideas at Pet Foster Network. If you are dealing with behavioral issues and feel like you are at the “last straw,” please take a moment to review the following resources. If you are planning to rehome your animal due to the cost of medical care and vet expenses, consider the following low-cost services. SNAP-NC offers a low-cost spay/neuter service for cats (about $70), as well as other services including testing, microchipping, and vaccinations. If you live in Orange, Wake, Durham, Person or Caswell County and believe your income is low enough to qualify for a $20 fix (spay or neuter), visit AnimalKind. You will need to complete the application, get approval, receive a voucher, and then make an appointment with an approved provider. If you live in Chatham County, please click here for the $20 fix information through C.A.R.E. If you live in Alamance County, please click here for the Humane Society’s information and low cost program. We believe that with some effort, you can find a good, responsible loving home for your animal.